Colleges could be judged inadequate by the education watchdog if they do not ban pupils from wearing face veils when they believe it is hindering effective teaching. 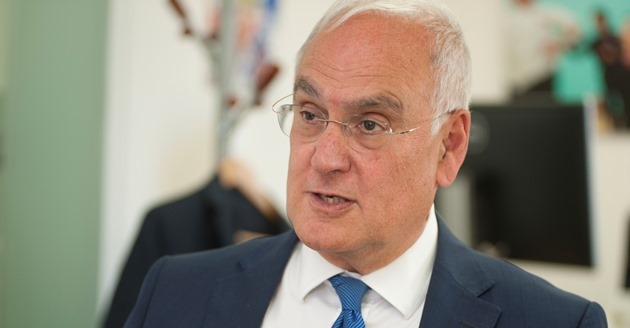 Ofsted chief inspector Sir Michael Wilshaw has announced today he gives his “full support” to college principals who “decided to take a stand against the inappropriate wearing of the veil”. The announcement follows comments Sir Michael made on BBC Newsnight last week where he supported similar calls from education secretary Nicky Morgan and the Prime Minister. He said: “I am concerned that some heads and principals who are trying to restrict the wearing of the full veil in certain circumstances are coming under pressure from others to relax their policy. He said Ofsted is determined to ensure discrimination has “no place in our classrooms”. “We want our schools, whether faith schools or non-faith schools, to prepare their pupils equally for life in 21st century Britain. A Department for Education spokesperson said: “We fully support Sir Michael’s statement today. We are pleased that heads who choose to implement policies which restrict the wearing of the veil to support effective teaching and learning will receive Ofsted’s backing. But Leora Cruddas, director of policy at the Association of School and College Leaders, said the union does not think that it is the role of Ofsted inspectors to judge schools on uniform policies and dress codes. “Inspectors should focus on what schools achieve rather than what people wear,” Ms Cruddas said. And how is an Ofsted inspector supposed to judge that girls wearing a face veil is damaging their education? What is the criteria for deciding this? And how do we determine that the inspector doesn’t already have prejudiced views and just wants rid of them anyway? I just want some evidence presented first that shows that wearing a niqab will have a detrimental affect on education. I believe that at times, yes maybe it could be inappropriate, but where is the evidence? I am a white male, I am an atheist. This news does not affect me directly, I am just appalled with the treatment of Muslim people in my country. Makes me sad to be British. I think the criteria for deciding this is common sense. Do you really need evidence for something which is so obvious and simple to everyone else? Would you also need evidence to satisfy you that wearing a balaclava in class is also detrimental? By the way a niqab is not a compulsory religious requirement for Muslim women. But this is not about religion; it is about appropriate attire in the classroom. A niqab in the classroom is as unacceptable as a balaclava or a motorcycle helmet. If students in my class wore a niqab or a balaclava or a motorcycle helmet I would not get to know them or even recognise them. It is a shame that people have to look for evidence instead of just using a little bit of common sense – no wonder British education is in such a mess! A barrier between the face of a pupil and face of her teacher/lecturer is surely a barrier to learning. How could you argue otherwise?